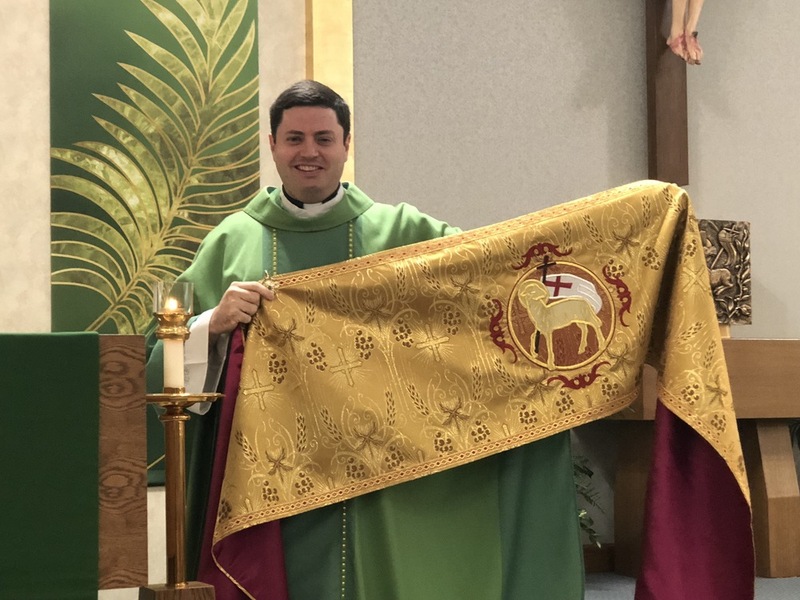 Father Tony displayed a cope at that Mass, which is a large semi-circular cloak, reaching to the feet and having a small cape in the back. It's worn by an officiating priest at Benediction of the Blessed Sacrament and in processions. Father got his from Mexico, which he had made by a group of Carmelite Sisters. That's the same Order currently serving our parish. Father also displayed a humeral veil worn by a priest or deacon when holding the Monstrance to give Benediction.